How do you manage when you have a child together? I only recently discovered you and look forward to your posts every day. They have become my daily affirmations on how to finally break free from my narcissistic EX. I do struggle in one area however and that is this requirement to maintain contact with this man, simply because we have a child together. How do other people manage a relationship with a narcissistic EX because they have to, because a child is involved? 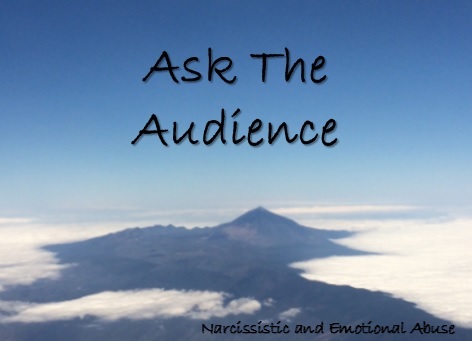 How do you deal with a narcissistic child? Well this is a ongoing issue. My kids are currently living with they’re mother. She is a emotional abuser. The best thing I have found is to not use the children against her. I have found that my children while young they did not understand what the abuse was doing to them. I decided that I would let them realize it on their own. As my oldest got older she realizes that there is a issue and it cannot be resolved. She has started to distance herself from the abuse. This was a lesson that they needed to learn on their own. I could not even begin to explain it to them and decided it was better to have them understand what was happening without outside opinions. Of course I am to blame for the distance that her abuse created. Over time you will learn coping methods for this problem. It is a problem! Dont fool yourself. Be smart and learn as much as you can to better prepare yourself for when the inevitable happens. Learn thier patterns and avoid contact as much as possible. Tried and tried and tried, but she would do exactly as she pleases without communication with me and then play victim and blame deflect when challenged. My son lives with me and I’ve been no contact with her for a year bar WA – when she occasionally contacts me to tell me about something she’s decided will happen with our son. Usually prefixed with ” I was going to contact you but I’ve arranged x y z for our son.